Wonderful old hotel. Rooms are a really good size. Small bathrooms. Seperate dressing room/wardrobe. Front rooms have views to the Hollywood sign. Near Paramount Studios. Unfortunately, this visit coincided with renovations to the attached cafe, very long walk to get breakfast. Careful when asking for a taxi, they tend to call a private company that charges more. 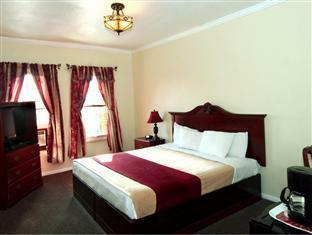 We thoroughly enjoyed our stay at the Hollywood Historic Hotel after we changed rooms. 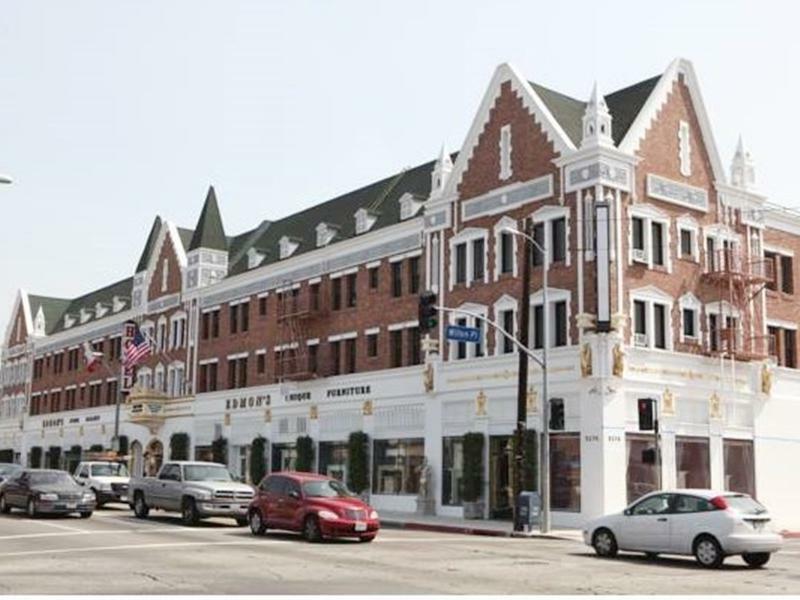 We were initially placed in a room at the front of the hotel, which was noisy with the traffic on Melrose Street, plus there was an unpleasant chemical odor of pesticides or something that lingered. The next morning we requested a room at the back of the hotel and found it to be much quieter, with a carpeted floor, and no odor. The staff were all extremely pleasant and helpful. We breakfasted at the "Nue Cafe" on the ground floor each day, and were delighted with their cleverly named and tasty menu choices. We plan to return in the future to both the hotel and cafe! My fiancee and I had a great stay at the Hollywood Historic Hotel. We were a little nervous because the reviews weren't fantastic, but it's perfect if you're looking for a cheap hotel in a great location. 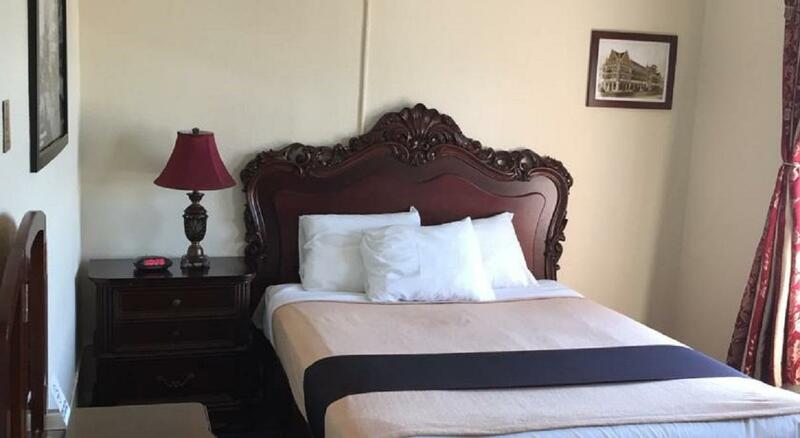 Our room was nice and clean, parking was free, there's a great coffee shop right in the building and the staff was super friendly (we checked in after hours and requested a late check out and both requests were granted by very friendly staff). It's not the Ritz, but I have absolutely no complaints. If you just need a room, this place is great and I will most likely stay here again. The location, clean and comfortable. We were just in LA for two days to visit family. We would not be needing a hotel with dining or spa treatments. It was just fine for what we needed. Old Hollywood feel, clean and the rooms were comfortable enough. We would go back. The staff was friendly and polite and helpful. The parking was great. It is in a central location. The front rooms have the view of the Hollywood hills and sign. The road out front is a bit noisy but it really did not bother us. We were on the second floor, but next time I would try to get the third floor with the same view of the hills. A room over the parking lot would be quieter for sure, but on the third floor, there might be a view from the back at least. All in all, it worked out perfect for what we needed. Not too bad. Pretty secluded. but then again who takes public transport in LA? For the price and location I couldn't have asked for better accommodations. Only drawback is bathroom size. Very friendly staff. Reception staff extremely friendly. 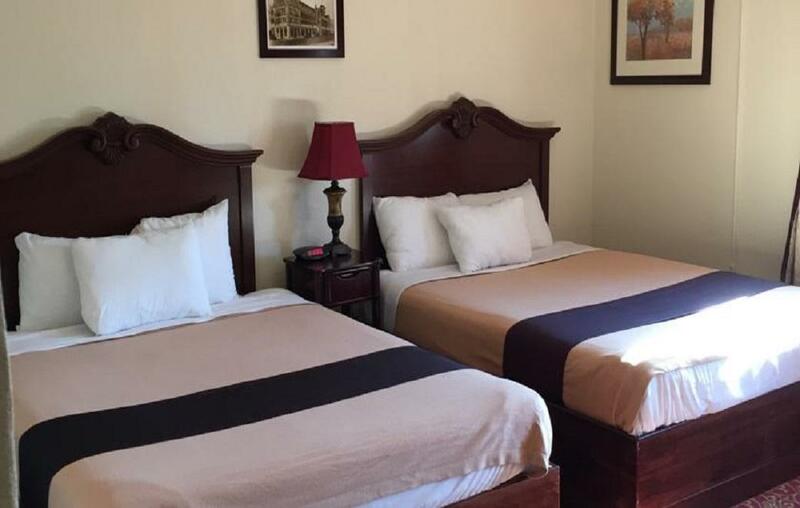 Comfortable beds and very clean bath-rooms. Reasonable location with bus right outside the door and a number of restaurants close by. Rooms (3) very comfortable. Staff friendly. It was the centre for all things to do, right in the heart of Hollywood! Excellent. Central for all activities including Universal Studios! Could not fault the hotel. Quirky and different but very enjoyable! The old HOLLYWOOD feel, I loved the way it was historic and they kept it historic with a lot if upgrades! It's gorgeous! The bed is huge!! I Wouldn't complain about a thing! It was everything I hiked for and more. Front desk staff very knowledgable and friendly. Nice hotel but the woman in the check out has a very poor customer service. The guy when we checked in was very accomodating.